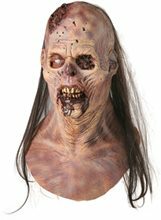 La Flaca Skull Adult Mask.Includes: One La Flaca Skull Adult Mask. Available Size: One Size Fits Most Adults and Teens. *Costume and Accessories Not Included. Sold Separately. La Flaca Skull full head & chest latex mask. Skull head with skeleton detail on chest flap. Mesh eyes make the wearers eyes invisible. Great mask! This range of masks is superb quality. Hand painted, with hidden eye and breathing holes make them uncomfortably realistic. The initial horror impact generally doesn't go away - the more they are seen the more disturbing they become! Not for the faint hearted! Yummy Mask.Includes: One Yummy Mask. Available Size: One Size Fits Most Adults and Teens. *Costume Not Included. Accessories Sold Separately. Bloody Face Monster Mask Full over-the-head mask. Excellent quality and easy to wear. Mask alone is a costume! 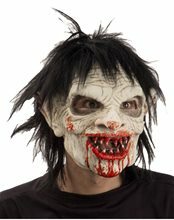 Slack Jaw Adult Mask.Includes: One Slack Jaw Adult Mask. Available Size: One Size Fits Most Adults. *Costume and Accessories Not Included. Sold Separately. 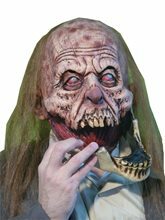 Complete your creepy costume with this Slack Jaw Adult Mask! 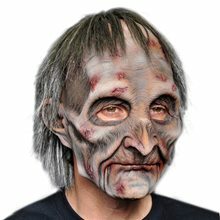 Slash Halloween Mask;Full Over the Head Latex Zombie Mask. 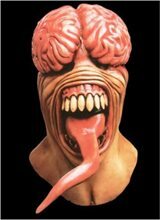 This Detailed and Disturbing Latex Mask is a pure Masterpiece. 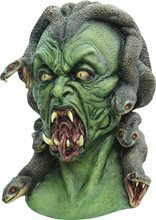 Not for the faint of heart Slash is sure to Frighten even the bravest Trick or Treater. 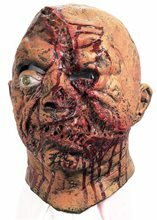 Maggot Buffet Adult Mask.Includes: One Maggot Buffet Adult Mask. Available Size: One Size Fits Most Adults. *Costume and Accessories Not Included. Sold Separately. 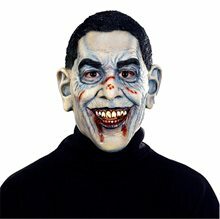 The ultimate Zombie Mask! Sunken eyed thin skin pulled over a skull look with dried bloody mouth and rotting wounded head with real hair. 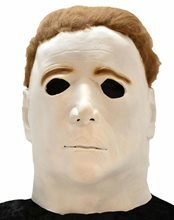 Full over the head latex mask individually hand painted. Wow! What a Zombie!